Software is powerful for many reasons, but most importantly because it allows people from different disciplines to work together towards one main goal to create something monumental. This Market Research 2018 Benchmark Report was developed by Modelo, based on the responses of 508 AEC professionals from different company sizes from around the globe. We conducted this research because we wanted to capture first-hand how the technology landscape in the AEC industry is rapidly changing, how these professionals relate to software in their workflows, and the pace at which these changes are occurring. We’ll take you through some key findings from our research, such as attitudes towards the current state of technology, Building Information Modeling (BIM), Virtual Reality (VR), and predictions for the future. We’ve also outlined this in the infographic below. You can download this eBook as a PDF as well as download our infographic. Overall, software in the AEC industry has enabled buildings to be made smarter, teams to arrive at design decisions faster, and project stakeholders to communicate much more clearly. There’s a desire to create cutting-edge designs that are not only functional for the client, but ones that break through barriers to achieve personal goals and satisfy an architect’s intrinsic drive to create a space for people to connect, come together, and share moments, from the intimate to the mundane. 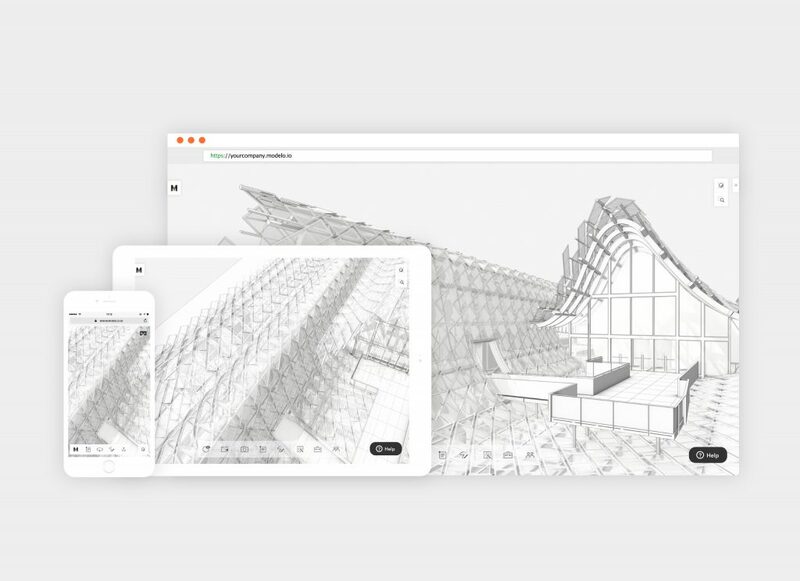 Notably, 98% of architects feel that technology is becoming ever more present in their workflow and has positively transformed the way organizations collaborate, build, and design today. AEC professionals are most successful when they pair a forward-thinking mindset with intuitive, multifunctional technology, allowing for transparency with clients and productive design reviews. Further, 75% of respondents agree that software should save time and create efficiencies, therefore the interoperability between platforms is key. Software should enable cross-disciplinary collaboration between different teams to reach project goals and prevent mistakes down the road. Lastly, over ⅔ of architecture firms are willing to use new software on the market, which demonstrates these firms are continuing to make dynamic shifts toward becoming software-reliant organizations. Further, the research suggests that software platforms should have a thorough onboarding process to guide firms through the early stages of implementation to overcome any challenges. Multifunctional platforms are changing industry standards because they save time and create efficiencies. Interestingly, 95% of respondents agree that BIM will continue to have a huge impact, as well as BIC, BIP, and DAM for enhanced collaboration, reducing costs, and immersive presentations/showcasing. 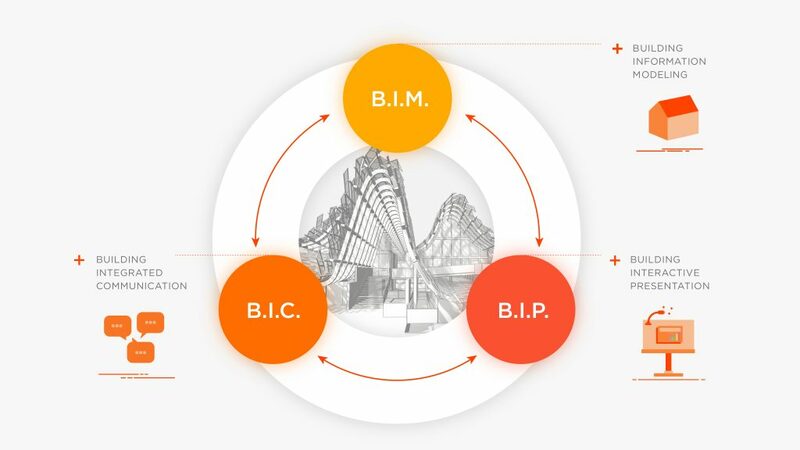 Building Integrated Collaboration (BIC), Building Immersive Presentation (BIP), and Design Asset Management (DAM) help to revolutionize workflows and equally involve all stakeholders in the design-build process for an effective and successful process. Although the AEC industry may have initially been slow to adopt Virtual Reality (VR), it is now becoming a staple in the industry, allowing various disciplines to work together in order to understand designs better. Touring models in Virtual Reality (VR) has become a key ingredient for engaging and immersing clients in realistic views of 3D designs. The research shows that this trend is becoming more popular at earlier stages in the design review process. In fact, 75% of respondents agree that VR makes client presentations more interactive, thus promoting collaboration and participation in the AEC space throughout the process. 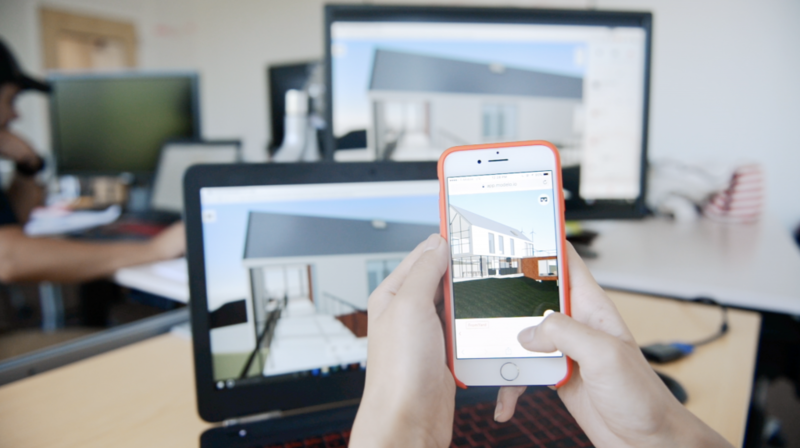 When VR is used both internally to explore unbuilt designs with colleagues, as well as externally to collaborate with clients, contractors, or even non-CAD users, everyone is more involved and communication is clearer. Rapid changes are already occurring in the AEC industry. So, it’s no surprise that these trends will continue to grow and software will continue to be a major component in the making of buildings and infrastructure. In the next half-decade, digital skills are crucial for winning new clients and shaping the future to be smart and useful. Additionally, collaboration software will be necessary for all stakeholders to access and host designs without prior knowledge of CAD. The time required to learn new software is a challenge for firms, therefore new tools should be stronger, straight-forward, and have a robust onboarding process to guide them through early stages of implementation. Finally, IT and BIM Managers will continue to grow in firms to increase productivity, adopt new software for creating cutting-edge designs, and enhance the overall design process in firms of any size. As a reminder, you can download the eBook and infographic as a PDF.  Archived in Emerging Trends, Research. Bookmark the permalink.